Fan Works: Happy New Year! Dudebro has been partying hard, but the holidays have ended and we’re ready to resume updates. 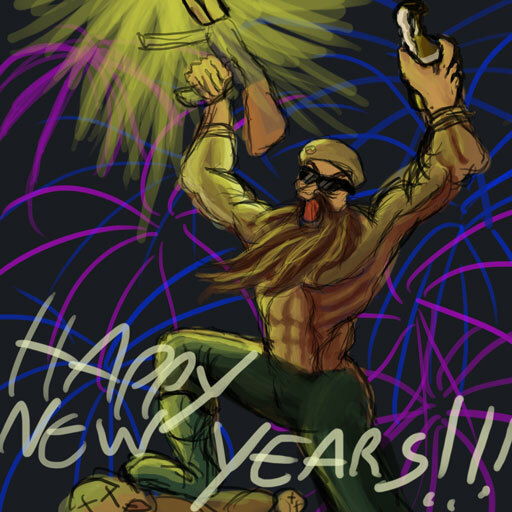 What better way to start the new year than with a piece of fan art echoing the festive sentiment. Courtesy of Danny. This entry was posted on Monday, January 10th, 2011 at 7:00 am	and is filed under Main News.